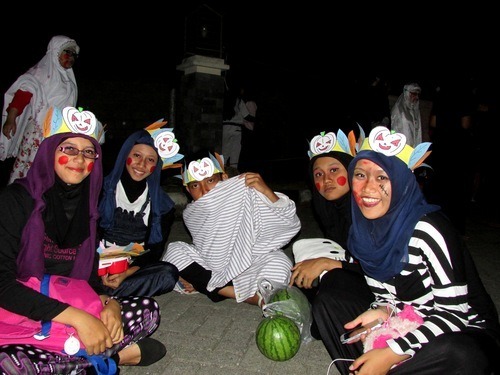 My sitemate has accompanied me to English Camp, a new annual event held by my school that takes all of the tenth grade students to Batu, a city which neighbors Malang, in order to spend a day participating in short English games and team-building activities. 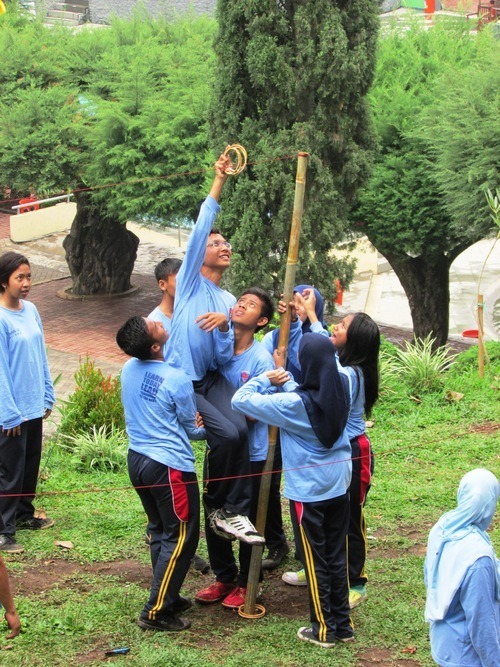 It was an exciting day for the students, most of whom do not often have the opportunity to leave Malang, and it is also one of the few times that all of SMAN 10’s tenth graders were all together in one place. SMAN 10 has two campuses: Campus One is located in a neighborhood called Sawajarjar, within Malang’s city limits; Campus Two is about a half hour car ride from Campus One, surrounded by rice and sugarcane fields in Tlogowaru, just outside of the city; each campus is somewhat-affectionately called by the name of its neighborhood. Sawajarjar resembles a fairly typical senior high school: with the exception of a few eleventh-grade students from Papua who live in a kos (boarding house) together, all of the students at Sawajarjar live with some family member or another in Malang—in many cases my students live with only their mother, while their father works in Surabaya or Jakarta and visits on weekends, or sometimes only holidays—and most students were born in Malang. Tlogowaru, on the other hand, though it is still a public school, more closely resembles a private boarding school: there are students from all over Indonesia, and even a few from Malaysia, though there are a number of local students a well. There is a cohort of students in the eleventh grade—predominately from Papua and Sulawesi—who are able to attend this school because of a scholarship funded by Pertamina, one of the largest oil and gas companies in Indonesia, but many students are able to go to SMAN 10 only because their parents can afford to pay for them to go there (the idea of public education is very different here). While students who go to school in Sawajarjar go home every evening, cramming themselves onto motorbikes or huddling under a shared umbrella in an attempt to keep dry, most of the students who attend school in Tlogowaru live in one of the two dorms on campus, which is also where I live. Sometimes it takes someone from the outside to properly assess a situation, and my site mate had “hit the nail on the head,” to use the idiom I had taught my students earlier that week. Because I teach on a slightly insane every-other-week schedule in order to be in the classroom with all of the tenth and eleventh grade classes on both campuses, there are some days during which I teach on both campuses. On those days, I experience a kind of pedagogical whiplash as I go from campus to campus: forget teaching in two different schools; sometimes I feel I teach in two different worlds. Classes at Sawajarjar are much larger than at Tlogowaru: while many of the classes I am in at Sawajarjar sometimes have almost forty students, it is rare for me to have a class at Tlogowaru that has even thirty students, and I even have one class with only ten. This makes learning their names much easier at Tlogowaru, and also makes for some other interesting differences in teaching. While I find it completely possible to meet with each student individually in order to clear up any confusion about content or assignments during my classes at Tlogowaru, I am never able to talk with each student for as long as I would like during my classes at Sawajarjar. At Tlogowaru, I come out of my classes feeling energized and satisfied that most of my students did in fact learn that day, and I am able to walk back to the dorms with those same students, laughing and joking about how excited we are all to mandi (shower), and feel refreshed after a day of being in hot, sticky classrooms. When I am at Sawajarjar, I come home from school feeling harried and exhausted, and wondering if I have managed to make any difference at all. 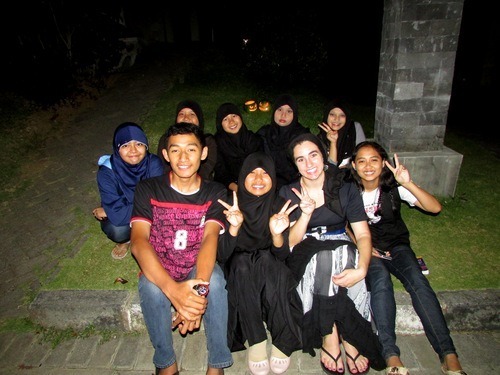 Each campus also provides its own challenges as far as my students’ English level. As students come to our English Camp station for a rousing round of charades, my sitemate quickly picks up on the fact that all of my high achieving students seem to come from Tlogowaru, and she points out the difference to me. While generally this is true, the different achievement levels on the two campuses are more nuanced than that. My highest achieving students almost all go to school in Tlogowaru, yes, but so do many of my striving students: in fact, those of my students who struggle most in English class are students in my Tlogowaru classes, not my Sawajarjar classes. I am unsurprised that it is students at Tlogowaru who have the highest English level, as it is usually these students whose parents could afford tutors, or who are English teachers or professors themselves. 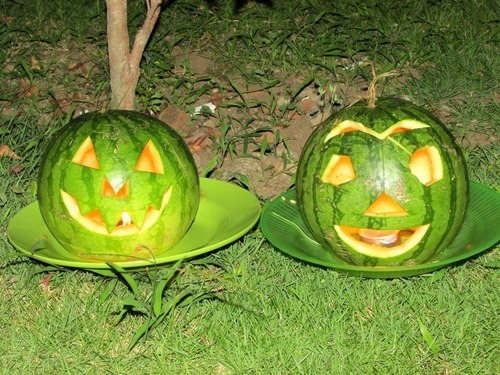 Without these advantages, it is understandable that the students at Sawajarjar are not already fluent in English: they have only had their once-a-week (or twice-a-week, in junior high school) English classes to aid them in their learning. I am also unsurprised that many of my striving students are also at Tlogowaru: because my students at that campus come from many schools from all across Indonesia, they have not had the same access to quality English Education, and I believe this is probably the root cause of the great diversity in achievement that I see on that campus. 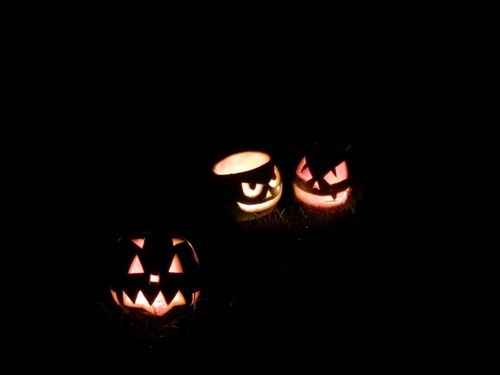 Certainly, it is not the students’ eagerness to learn that causes this gap, for my striving students are just as enthusiastic and diligent as any of my high achieving students, and sometimes perhaps even more so. Due to these differences, differentiation has never been more relevant to my teaching: I have learned that I must differentiate materials and strategies for the different campuses, different classes, and even different students when I can, especially when I am teaching at Tlogowaru, where the variation is most extreme. With nineteen classes and over five hundred students, whom I only see in the classroom every other week, I won’t pretend for a moment that this differentiation is easy, or that I am in any way persuaded I am doing it correctly. I can only promise myself and my students that I do my best, and hope that my best is somehow cukup (enough). There is a certain understanding amongst many of the teachers on both campuses that my belief in giving each student the best education that I can is merely a result of my being a young and inexperienced teacher, and in Indonesia only for the extent of my grant period. “You are young and have more energy.” “It is easy for you. You are only here a short time.” The negative commentary batters my determination whenever I tell other teachers—be they English teachers or teachers of other subjects—that I cannot bring myself to give up on a student, or believe that a student simply “cannot.” It is not my first time hearing these arguments: I was once, after all, an idealistic education student, and later a student teacher who was often told I would not be able to maintain my dedication throughout my teaching career. There is little I can say in response to these assumptions, because there are some elements of truth in them. I am a single, energetic young woman—or at least I am on the days I am not ill, which I often am in Indonesia—who does not have a family to care for at the end of the day, and is able to focus her excess of energy towards her teaching. 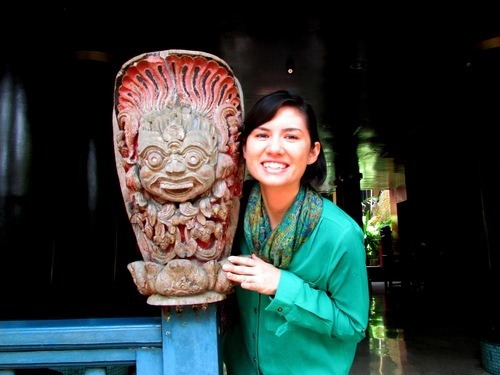 I am also belum guru sejati (not yet a real teacher): I have volunteered in classrooms, I have been a student teacher, and I am now an English Teaching Assistant, but I have not yet held a permanent or even semi-permanent position in a school. I have not endured years of working in education in any country, fighting against a system that fails students and teachers with equal neglect and outright cruelty, and so I cannot yet guarantee that I will not eventually be defeated by the walls I am always trying to tear down. I know this is true, but I hold fast to my belief that my students are worth all the effort I can give them, and I only hope that I can maintain this attitude and prove wrong the cynical of the world. Whether they teach at one campus or both, most of the SMAN 10 teachers have distinct opinions about the various students at the different campuses. One of the teachers, who only teaches at Sawajarjar, is constantly talking about how lucky I am to teach at Tlogowaru: “The students there are so clever,” she tells me, again and again, “Our students are not as smart.” I am continually trying to tell her that out students at Sawajarjar are also very intelligent, pointing out each time I receive a particularly poignant reflection from a student, or when a student is able to make a particularly clever joke in English. As of yet, I have been unable to change her opinion, but I will not berhenti (stop) until I succeed or leave Indonesia, whichever comes first. 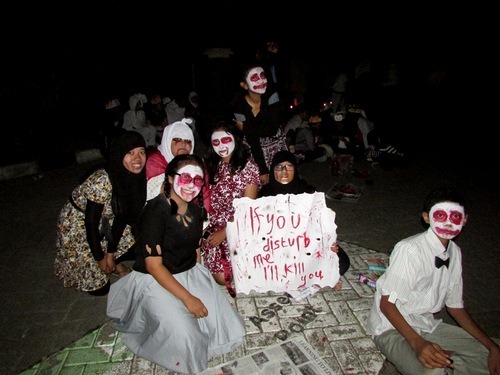 But not all of the teachers treat the students of SMAN 10 in this way. One of my co-teachers, whom I truly believe is an angel on Earth, treats all of her students, no matter what grade or what campus, with the same patience and care. When she explained to me that the students from Papua often had a lower English level than the other students, she did so in this way: “They did not have good English teachers in junior high school, so English is hard for them. So we need to help them more.” Though she, like me, seems much more drained after a day of teaching in the larger classes of Sawajajar, she still gives everything she has to these students, and when she rests her head on her desk at the end of the day and says to me “Ngantuk (sleepy),” she does so with a smile and never once blames her students for her exhaustion. It is teachers like her who give me hope for the future of education in Indonesia, and everywhere. Towards the end of our day at English Camp, this same saintly co-teacher takes the microphone and speaks briefly to the students. I may not yet be fluent in Indonesian, but I understand this speech: she is telling the students that it is important that they remember working together today, to remember that they may have different classrooms and different teachers, but they are all one school. It is a speech that is easy to believe in, seeing the students smiling together in matching blue shirts, soaked through with rain and covered in mud from a day of races and impromptu dancing to “Sakitnya Tuh di Sini,” but I wonder how long this comradery will last, and if it is even the students my fabulous co-teacher should be talking to. 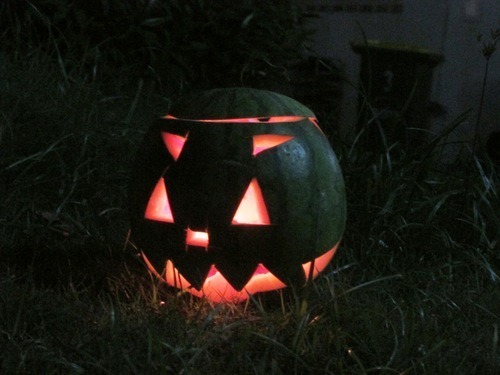 But that is cynics’ talk, and I refuse to conform to that ideology that so often seeks to swallow me whole. There is always hope for the future, and if anything is the embodiment of Indonesia—and the world’s—future, it is its students. 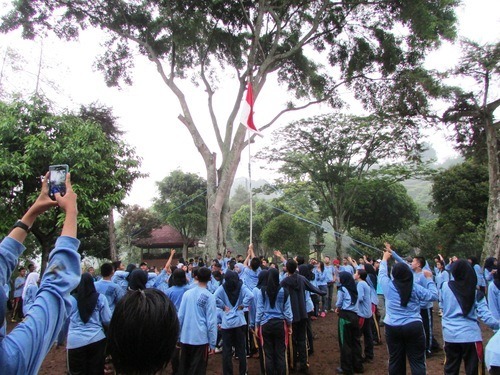 During the last activity of English Camp, students work together to create a flag pole and raise the Indonesian flag in the center of a muddy field. As they scramble to beat the countdown being shouted out by the leaders of the team-building activities, the different schools and classes blend more haphazardly than they have all day: a student from Tlogowaru holds two pieces of plastic as a student from Sawajarjar, hastily ties them together. Once the flag is waving above our heads, mostly straight and somehow stable, the students erupt in cheers, the few boundaries that have persisted until now dissolving in their combined success. I am reminded of an Indonesian saying I learned recently from one of the science teachers: “Sembilas, duabelas.” This saying is used to express when two different things are so similar that they are like the difference between eleven and twelve. This is how I have come to view my students: no matter how many differences I note on my own or have pointed out to me, they are all, at the end of the day, young people with an entire future of challenges and celebrations ahead of them. Even having only spent a little over half a semester in their classrooms, and having only seen one grade truly together for a single day, I know that my students all have the capacity to be just as—or less than, or more—kind, cruel, or apathetic than the generations that have proceeded them, and that they truly seem to be headed towards improvement. In this way, though they vary from campus to campus, and from student to student, each of these individuals is somehow the reflection of the individuals standing next to them. And if they work together, then they, like the flag that represents their nation, have nowhere to go but up. 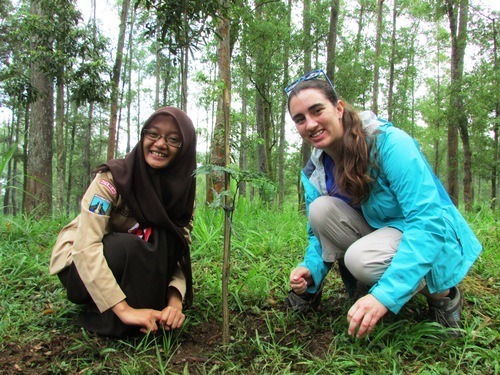 Recently, my site mate invited me to go camping and plant trees with her school near Batu, a city neighboring Malang which is well known for its natural tourism. It had been particularly hot in Malang that week, so the idea of going up into the cool mountains was more than a little appealing, and since I am continually frustrated by the excess of burning trash and lack of recycling facilities here, the thought of doing something for the Earth spoke to me like nothing else since I have come here. My site mate had been told we would be planting one thousand trees, but in truth we only planted maybe twenty. Nonetheless, the act of placing a young tree in the soil and covering its small bundle of roots with rich soil filled, for at least one moment, the hole left by the gardens and potted plants—most of whom I nursed back to health—that are half a world away. I am constantly surrounded by greenery here, but it has been a long time since my hands were in the dirt, and I fear if I am not careful the green thumb I was blessed to be born with might fade away. So I smiled at the dirt under my fingernails, and breathed a small “Good luck” to my sapling, thankful for the opportunity. But while we may not have planted as many trees as we thought we would, our time in the mountains was full of many other adventures which we did not anticipate. There are many air turjun in the mountains beyond Batu: air terjun is Indonesian for “waterfall,” with air meaning “water” and terjun translating to “plunging.” During our short trip to the area, we were fortunate enough to be able to see tiga (three) air terjun. 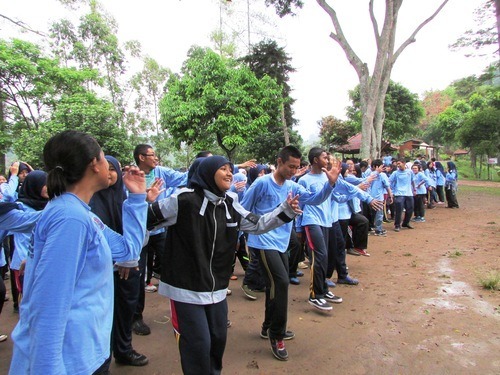 Our first air terjun, which we hiked to after setting up camp, was Coban Rondo. 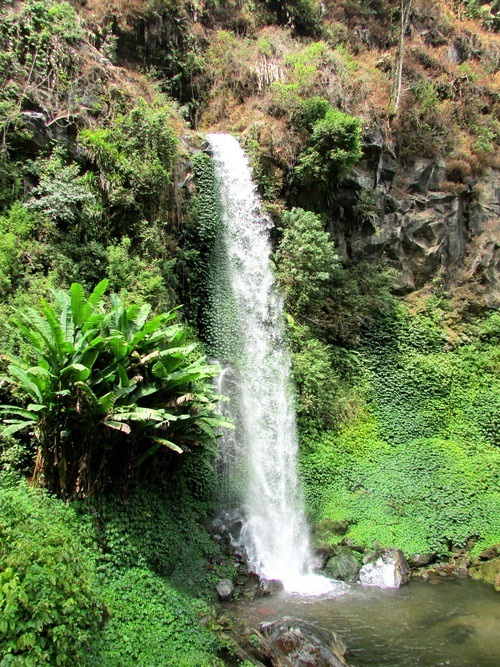 Coban is the Javanese word for waterfall, and rondo is Javanese for widow. According to legend, Dewi Anjarwati, or Goddess Anjarwati, of Kawi Mountain married her love, Raden Baron Kusumo of Anjasmoro Mountain. While traveling to visit the home mountain of the groom, the beauty of the heavenly bride attracted the attention of a character named Joko Lelono. 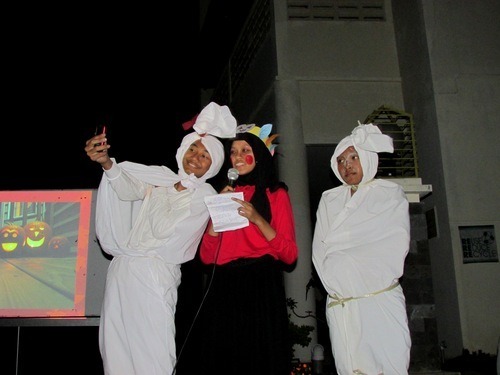 Raden Baron Kusumo hid Dewi Anjarwati in a secret cave near the waterfall, and he and Joko fought fiercely over her. In end, they both fell to their deaths, leaving Dewi Anjarwati widowed, and Coban Rondo was named for her. 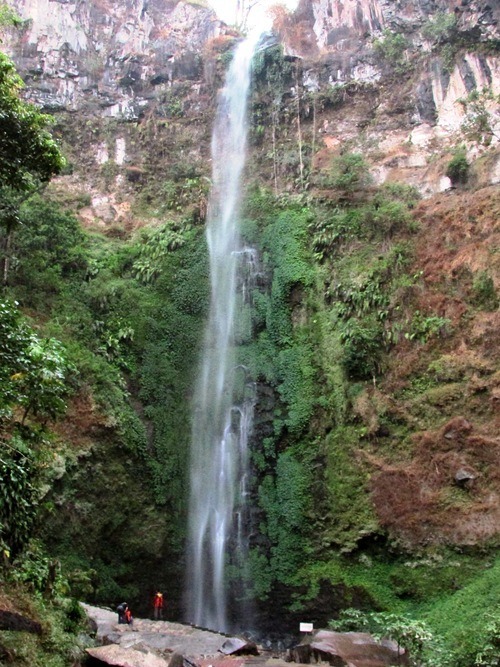 Coban Rondo is a slender waterfall, but at 84 meters (276 feet) tall, it is quite impressive. I was lucky enough to go to college near Taughannock Falls, which is the tallest single-drop waterfall east of the Rocky Mountains in the United States. 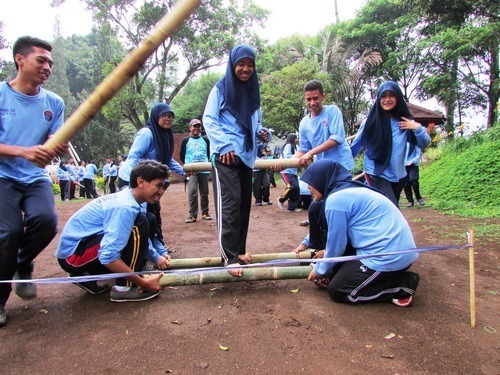 But at a mere 65.5 meters (215 feet), Taughannock pales in comparison to Coban Rondo. 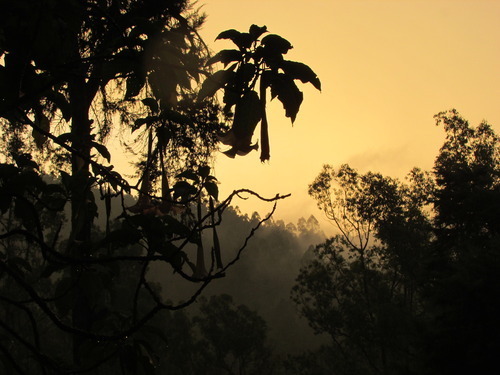 Our hike back to the campsite that evening was during sunset, and seeing the warm colors of the sinking sun floating through the lush jungle, dripping with freshly-fallen rain, I found myself completely in awe of the beauty which surrounded me. It is strange, and so incredible, how the same sun can seem so different in a new place. It was like I was experiencing the sunset for the first time. 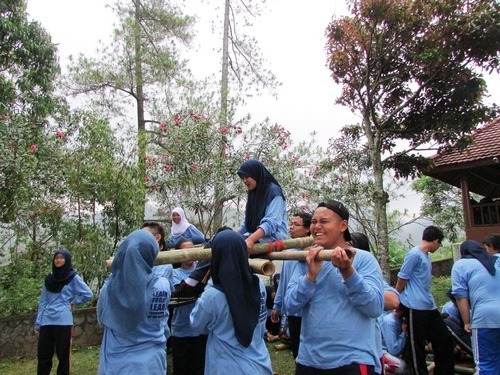 The next day, after planting our trees, we went on a hike to Coban Tengah. Though I believe tengah was originally a Javanese word, it has the same meaning in Indonesian: “middle.” I am unsure whether the name refers to the waterfall’s location (between Coban Rondo and Coban Manten, another famous waterfall in the area) or if it is implying setengah, which means “half” in Indonesian, as it is about half the size of the other well-known waterfalls in the area. As seems the situation for many sites in Indonesia, there was no information posted near the waterfall and not much more available online, in English or Indonesian. Whatever its name may mean, Coban Tengah is one of the most beautiful places I have ever seen. With its torrent of water crashing past lush vegetation into a cool, surprisingly still pool below, Coban Tengah somehow perfectly balances the frightening power and the soothing peace that can only emanate from Mother Nature. The last waterfall we saw during this trip required a slightly more challenging trek, but it would have been worth it even if there had not been a waterfall at the end of it. We hiked past—and sometimes through—the terraced fields that grow so many of fruits and vegetables that make up some of Indonesia’s most significant exports. I’ve never before thought of cabbage as aesthetically appealing, but I certainly do now. We also walked past groves of tall, pine-like trees whose bottoms had been carved out, with bits of plastic bottles poised to catch the tree sap. One of the teachers who was helping to guide us said they were rubber trees, and in their shadows there were coffee trees, which need shade to grow properly. Though I grew up tied to the land, this was a partnership I never would have been able to conceptualize without seeing it, but standing beneath their canopies, I found it made perfect sense. Indonesia is known for not being the most environmentally conscious place on the planet; with a developing infrastructure, I suppose this is understandable. 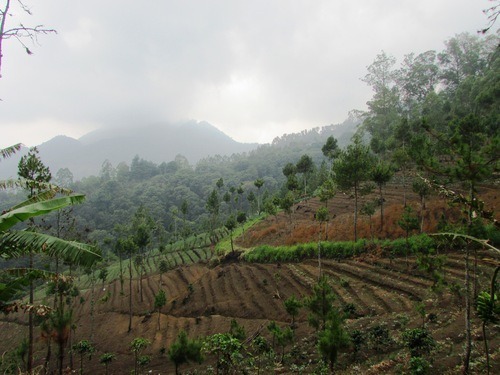 Even I sometimes that when I think of agriculture here, I think of burning jungles and barren mountains sides that used to be thick with jungle; but Indonesia is capable of carefully planning their crops, a fact which is impossible to deny when the truth is before your eyes. 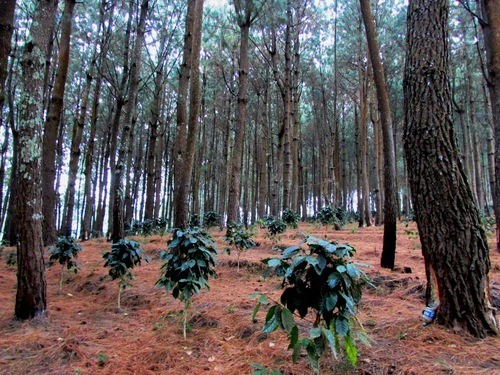 Those coffee trees quickly transformed in my mind, from a simple crop to a symbol of hope. Eventually, we did reach Coban Manten. 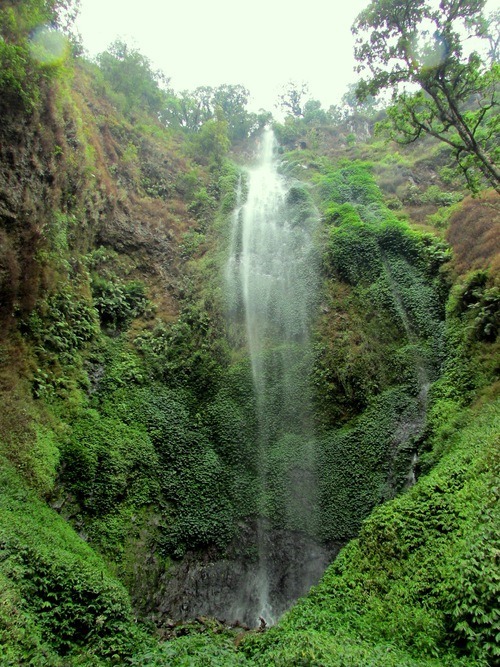 Manten is the Javanese word for “married,” and Coban Manten gets its name because it actually consists of two waterfalls, resembling the bride and groom standing side by side at the altar. 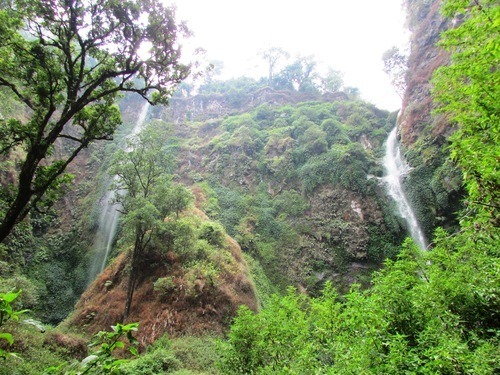 We could hear the waterfalls before we could see them, but once the jungle started to open up, we were able to see the crests of both waterfalls, and it was not long before we were soaking in their glory and cool mist. 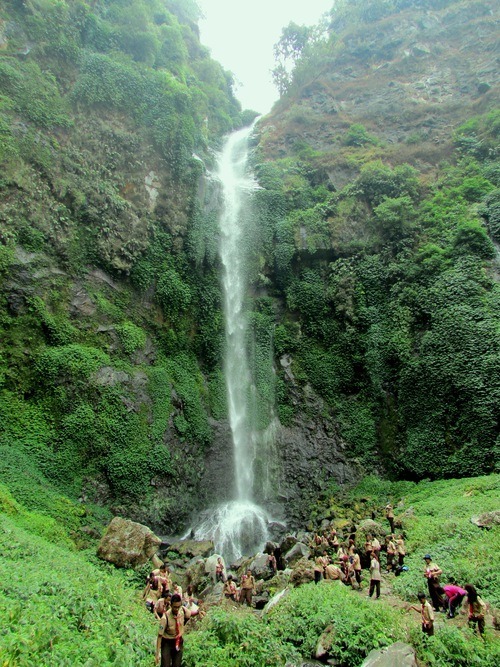 The first waterfall we reached was the groom, and at 85 meters (279 feet) tall it is not only the larger of the two, it is also taller than Coban Rondo. I also found it more beautiful, for it did not have the barriers and other human elements that were distinctly present at Coban Rondo. Coban Manten is still wild. The second waterfall seemed to be a few meters shorter than the first, but wider. This is the bride, and it is because it is wider that is has earned this name: a female waterfall must, after all, have the hips necessary to bear a brood of baby waterfalls. Getting to the second waterfall required quite a bit of wading through the stream below the waterfalls, but foolishly playing in the mist below with students was completely worth the wet feet. Before deciding to apply for my grant in Indonesia, I confess I knew very little about this diverse and incredible country. I really only knew it as a quickly developing country, and as a religious phenomenon. 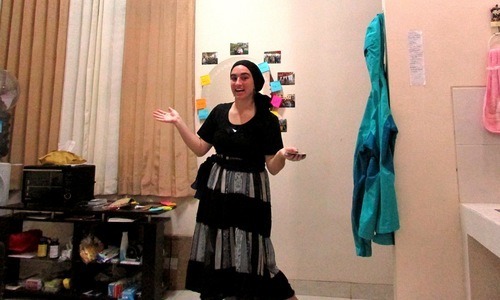 Once I learned that I would be spending nine months immersed in a place on the other side of the world, I dived into Indonesia’s culture, history, and language, to the best of my ability. But it was only after arriving here that I really became aware of Indonesia’s reputation as a natural paradise; and every day that I spend here only seems to prove that it deserves this status. I’ve stepped into another world, and a truly beautiful one at that. Creating and maintaining a consistent schedule has proven to be quite the challenge here, and so it was only recently that my site mate and I were able to acclimate ourselves to our weekly responsibilities and coordinate regular free time. We are fortunately both free every other Monday, which allows us to explore areas in and near Malang while also avoiding tourist traffic. Recently, she and I explored some of the more famous places within the city limits. Hotel Tugu is a high end hotel near the center of Malang. Neither my travel book nor the internet were able to give me much information about this remarkable place, but I was able to glean that Hotel Tugu has a sister hotel on the island of Bali, and that many of the trees I saw on the premise were rescued from the Malang Botanical Gardens when parts of it were destroyed by developers. Inside the Hotel itself are artifacts from Indonesia, both from traditional culture and from the days of Dutch colonialism, as well as other parts of Asia. In this way, Hotel Tugu doubles as a museum, and is free to the public. Very little is labeled in Hotel Tugu, so while wandering its ground floor is fascinating, it is not particularly informative. The occasional bowl might be labeled with a simple tag saying “Ming Dynasty,” but no more information is provided, and many items are not labeled at all. I have always loved the education I am able to get from the more organized museums I have experienced in America and Europe, but there was something about trying to puzzle out what the uses and origins of different objects were that somehow embodied the heart of inquiry that I believe is part of any museum visit. 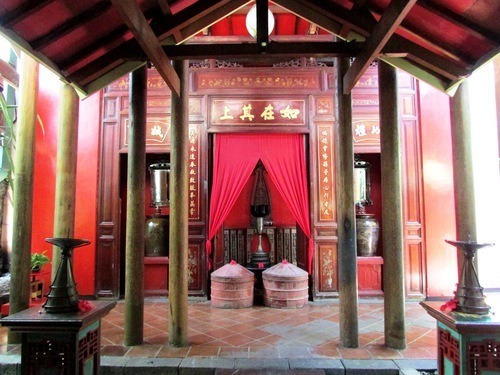 At one end of Hotel Tugu there is a kind of temple hidden in a corner. Its tall, imposing sides and shadowy alcoves only sometimes occupied by statues transported us out of the bustling city of Malang and into a peaceful, solitary place for self-reflection… at least until the honking of horns reminded us that the busy street was just on the other side of it’s cool, stone walls. Due to a lack of labeling and a shortage of information about Hotel Tugu online, I am unsure whether this temple is a restoration or a replica, and I have no idea what its name is. But I was extremely appreciative of its lack of ropes and barriers, which allowed me to breathe in, touch, and even climb on the mysteries of this inexplicable artifact. 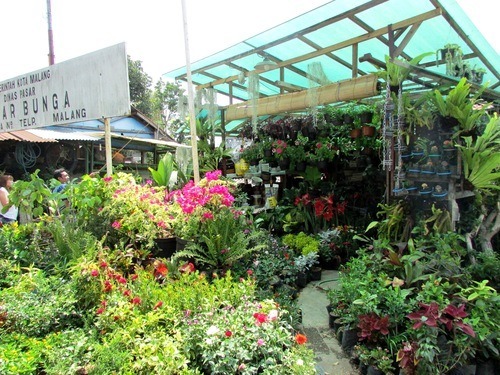 Near Hotel Tugu there are some fairly well-known markets, one of which is Pasar Bunga, or the flower market. Blooms in every color line the street, and it was extremely difficult for me to not bring home a little potted plant to brighten my apartment. I’m unsure of the regulations regarding bringing houseplants across borders, and feel it would be unkind to adopt a tiny sprig of life that might not be able to benefit from a green thumb after my time here. But this was only my first visit to the market: I might not be able to resist next time. After a short walk, Pasar Bunga turns into Pasar Senggol, Malang’s relatively famous bird market. “Senggol” is essentially Indonesian for “bump into,” in reference to the crowded nature of the market on weekends, and of most markets in Indonesia, to be honest. Fortunately for my site mate and I, it was relatively quiet, being a Monday, and while the market was still crowded with wood, metal, and plastic cages of varying ornateness, there were few people. 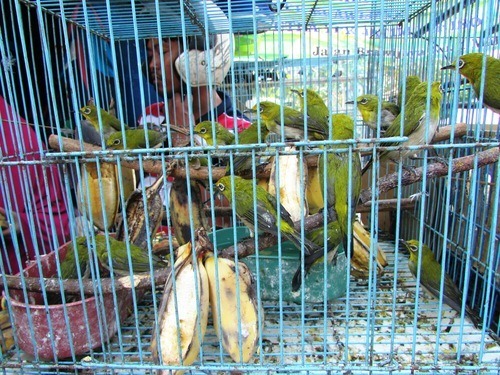 The bird market is filled with the calls and colors of tropical birds. 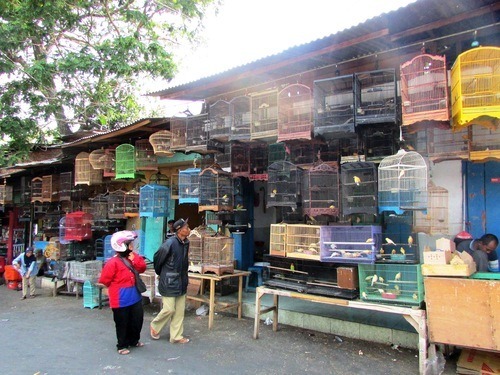 Many of the birds at the market are native to Indonesia, though not necessarily to Malang. These winged jungle inhabitants are not the pigeons, sparrows, and swifts I am accustomed to seeing flying above the fields around my school. 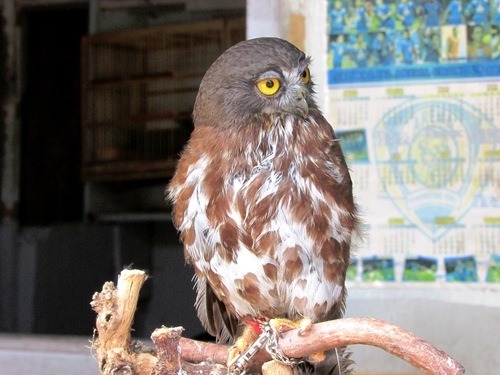 The market did not limit itself to tropical song birds, and it had more than its fair share of owls, eagles, crows (which are supposedly still used in black magic rituals) and the ever-present chickens. There were also, cats, dogs, monkeys, gerbils, geckos, and even the occasional snake. 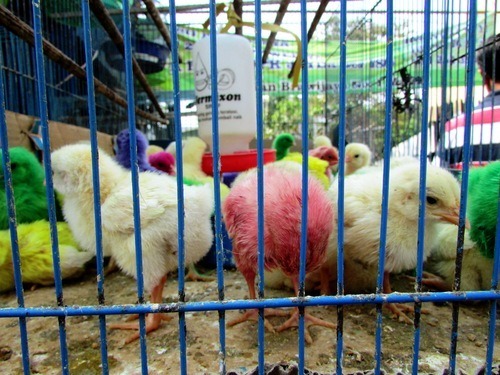 Like most of Indonesia, it was a mix of the exciting and the ordinary; sometimes the two can be found perfectly blended into one small cage, such as the chicks we found that had been dyed various colors, for reason unknown to us. Seeing so many animals in tiny cages was as heartbreaking as it was incredible. I’ve never fully understood the desire to cage an animal meant to fly, and seeing these tropical birds pant under the hot afternoon sun to which they are unaccustomed made me want to break open every cage and set them free, but part of being a cultural ambassador is trying to reign in such impulses, and seek to understand, rather than judge. After telling her that I had visited the bird market, one of my co-teachers told me of her husband’s love for birds, and how he loves his pet birds like they were his children; it seems that is some ways, not all birds in cages must also be prisoners. Having been raised in the agricultural industry, I am acutely aware of how complicated the concept of domestication can be, and how important it is to educate ourselves about the aspects of animal-human relationships with which we are unfamiliar. When I am able to keep the more sensitive side of me in check, I find it is actually exciting to have my own ideas of the rights and wrongs of animal care challenged. Malang does not go completely unnoticed by tourists, as it is on the island of Java, the favorite child of Indonesia, but it is certainly not as popular as the islands of Bali and Lombok, or the cultural city of Yogyakarta in Central Java. But with its own unique blend of familiar western influences and unfamiliar traditions and history, I could not have asked for a better city in which to have been placed. I find it entirely appropriate that Malang is one of the university cities of Indonesia, because if there is one thing I am always doing here, it is learning.